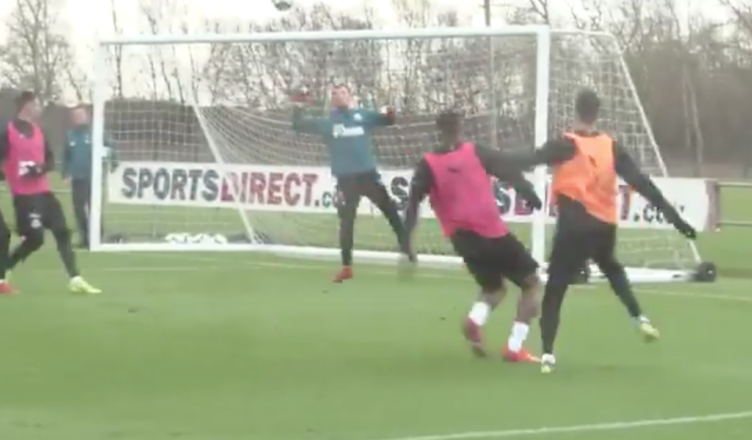 Impressive footage emerges of NUFC players in training game – Shelvey looks sharp – Watch here – NUFC blog – Newcastle United blog – NUFC Fixtures, News and Forum. The club have shared footage of the first-team squad in training yesterday – and if the clips they’ve released are anything to go by, we’re looking sharp ahead of Saturday’s clash with Everton. Last weekend’s defeat at West Ham saw us look surprisingly slow, sluggish and sloppy, but with safety not yet secured and another big home game coming up, it’s good to see the lads looking sharp in training. Shelvey’s involvement will also be a major plus given Sean Longstaff’s injury – although it remains to be seen whether he, Ki or Diame will replace the 21-year-old for this weekend’s game. Everton have been a real mixed bag this season, with Marco Silva appearing to be under pressure on Merseyside before their 0-0 draw with Liverpool on Sunday. They have several quality players and may be buoyed from the result over their bitter rivals, but this isn’t a team we should be fearing. Complacency must be cut out, but approach this one as we have the last four home games and I can see us coming away with another good result.